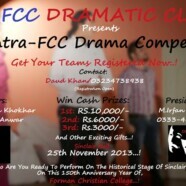 FDC brings an exciting chance for all Formanites to win Cash prizes. 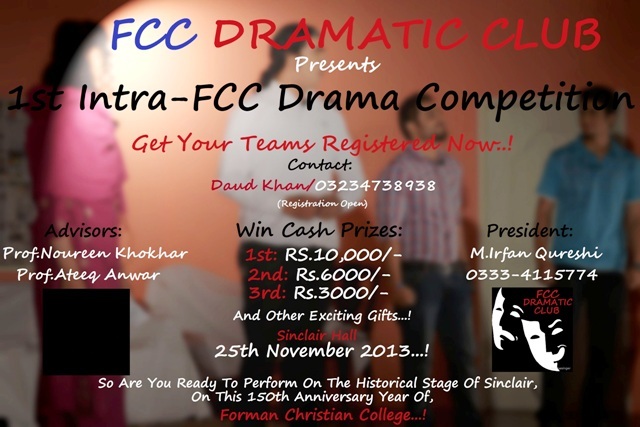 The 1st Intra-FCC Drama Competition will be held in Sinclair Hall on 25 November 2013. Students can participate in groups to perform short plays and mimes. Registration for this event is open now. Note: Every team must have a faculty member as the adviser for the team.